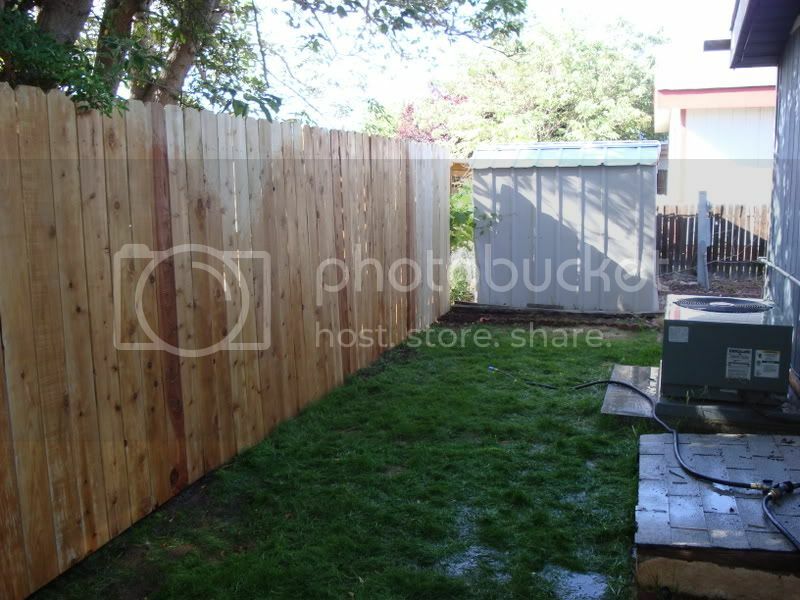 So today my father came over and together we install 56 feet of wood fencing in my backyard. I should explain that sometimes I get these impulses to do things, and this project was one of them. Yesterday I was looking over at fencing, expecting it to cost a lot more then I was ever willing to spend when I saw something that I love and was well with in my price range. 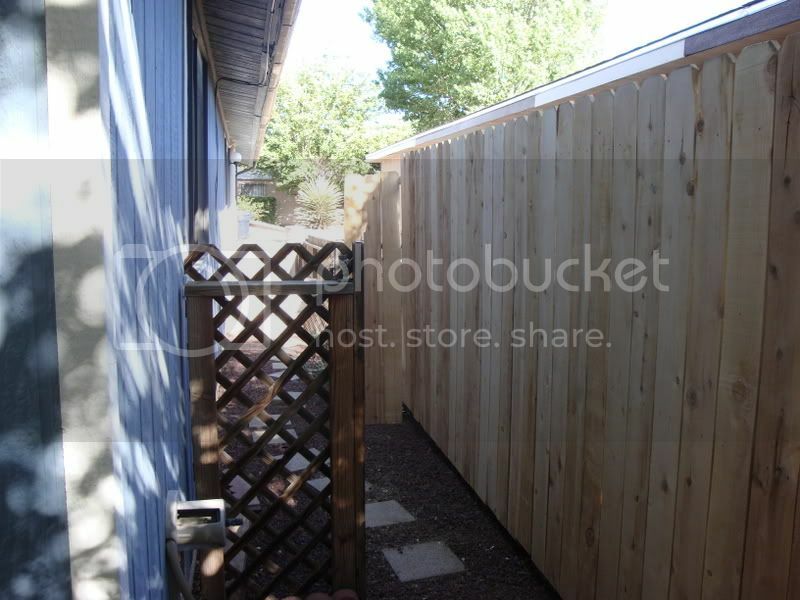 What I found was 8 foot long sections of 6 foot high prebuilt cedar fence sections, for about $40.00. 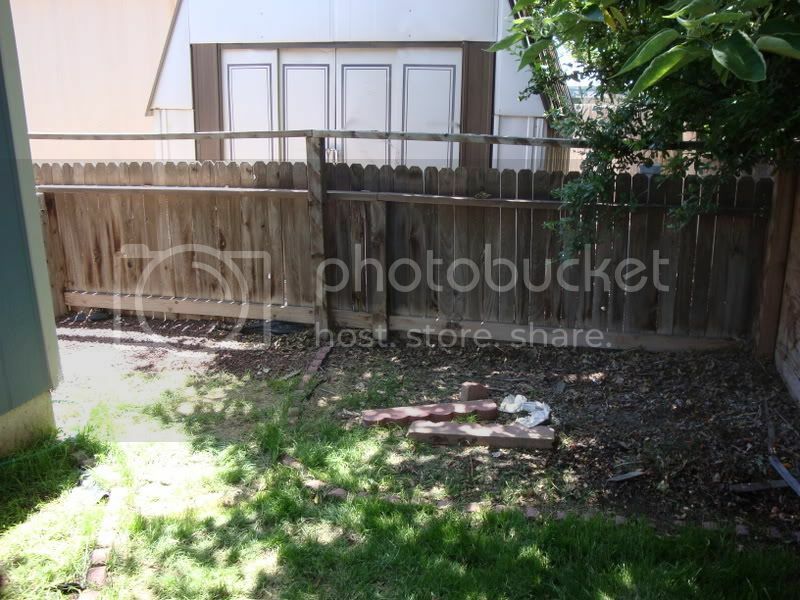 Now the lady that I bought my house from had trellis fence that was falling apart, but they happened to be attached to 4x4 posts that were 8 feet on center. So I called my father to see what he thought of this, and then to ask him what he was doing on Sunday with a face that might have looked like I was expecting to get hit. LOL. So my father, who is a great man, and indulges a lot of my on-the-fly whims without complaining said that he was willing to come help me with this project. So this afternoon we went to Lowes and bought 7 sections of the fence and a few other things that we needed for his project and we were off to the house. The fence went up really fast and I must say that it’s the only way I will build a fence from now on. For the cost, I could not beat it. 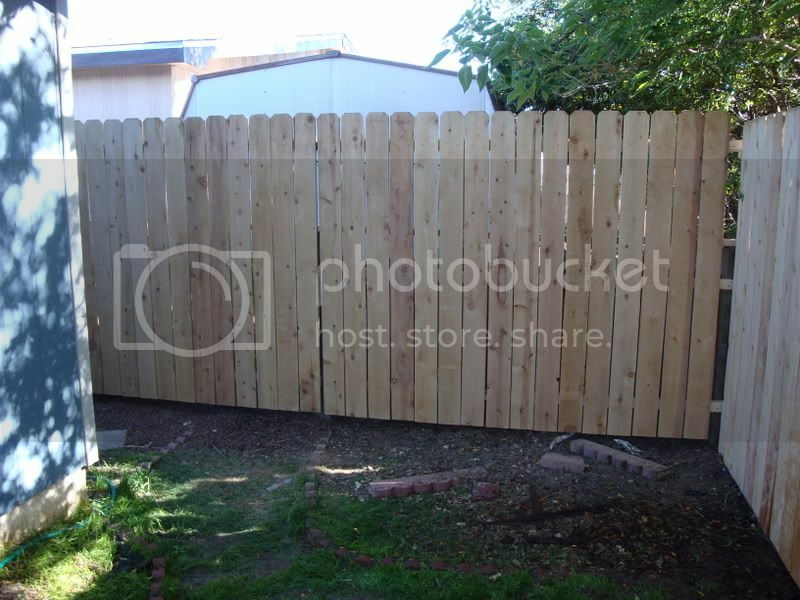 Here is the fence section from Lowes that I used. From what I have seen on the internet, I would have expected to pay about 3 to 4 dollars per foot in materials to build it the old fashion way or 12 to 20 dollars per foot if I had someone else do it. Anyway, enough of the boring junk, now on the fun stuff, PICTURES! For once I remembered to take a picture before we went about building the fence. I have one set of before/after pictures below and for the rest of you people on sucky internet connections; I put the rest of the pictures behind a LJ cut. As per my normal MO, all pictures can be clicked on to make them bigger! As you can see from the pictures, I still have a little bit of finish work to do which I am going to try and take care of this week. 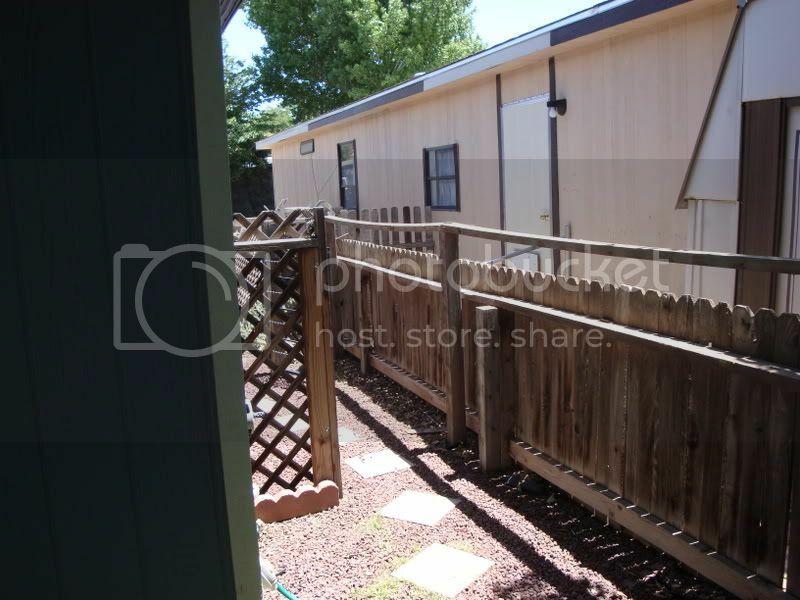 I must say that I am very happy with the end result as it gives me a lot more privicy that I did not have before, and it makes my backyard look way better. Anyway, now on to my next project for the house, what ever that might be. I do have a lot of them, some cheaper and easier to do then others. Beautiful!! 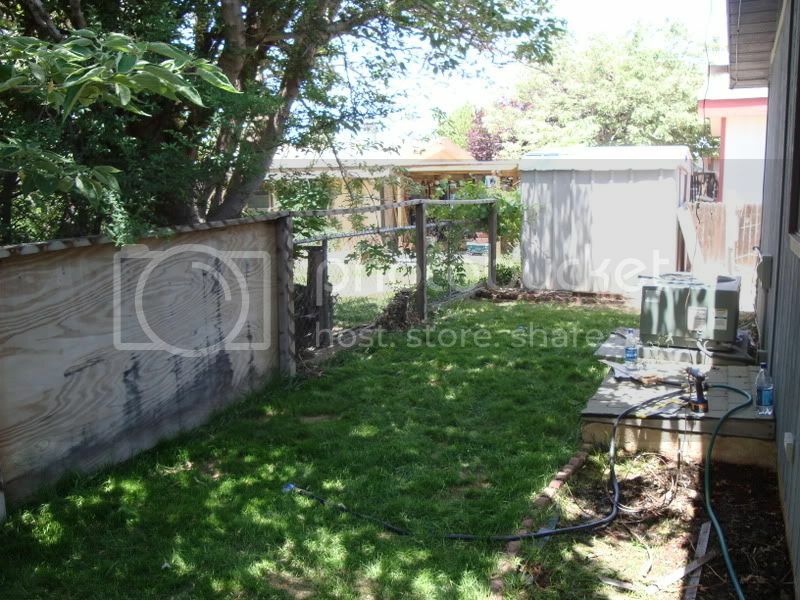 Your fence looks great and how nice to have more privacy now. Good job, it really makes your yard look great. Enjoy.